I have owned the Cold Steel Mini Recon 1 for over a year now and it is one of my favorite HARD USE EDC blades. 1. The blade is AUS-8A, my favorite budget steel. It is easy to resharpen and holds its edge well. 2. The Triad lock back design is the strongest on the market. I have batoned through small pieces of wood and the lock up is still perfectly solid. 3. 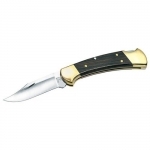 The G-10 handles are very aggressive and are EXTREMELY ergonomic for me. I wear large size gloves. Pocket clip is great! 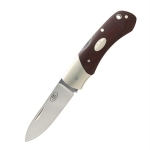 Now I use this knife when I am bushwhacking or when I am about to do some HARD USE because I know it will take the abuse. 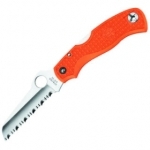 With that said, for about $7 more you can get a Spyderco Delica4 which is a much better EDC blade because it can slice much better, it is lighter in weight, and it will hold an edge longer because of the VG-10 Steel. 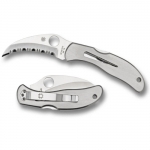 The Mini Recon 1 is much tougher then the Delica4 with its thicker blade and Triad Locking mechanism. So the Mini Recon 1 is not the best edc blade out there for the price, but it is one of the toughest.